2013 is a great year for Twitter. People around the world have witnessed that the newborn George, the Royal baby, helped the monarchy rack up 40,000 new Twitter followers in one day, and the news like the National Security Agency revelations blow up overnight. 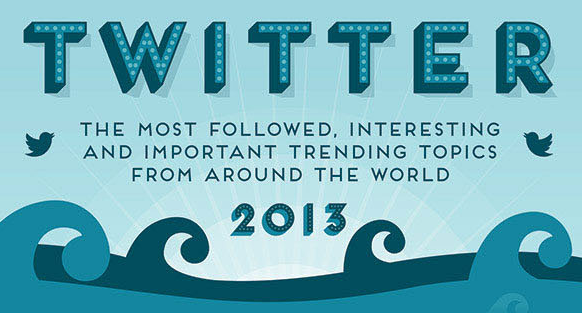 Yet, did you remember what were the most interesting and important trending topics on Twitter in 2013? From US Government Shutdown to #ThankYouSachin, and from #DoctorWho to #3eedpains of United Arab Emirates, here is a nice infographic to find out what the top trending topics from around the world on Twitter in 2013.